Summary: Setting up your home gym can be quite confusing. Let us help you and check out the best adjustable dumbbell reviews on this page! Are you shopping around for the best adjustable dumbbells? Unlike regular dumbbells, adjustable dumbbells can be adjusted (and so the name) and loaded with the weight load you need, translating to convenience and practicality. 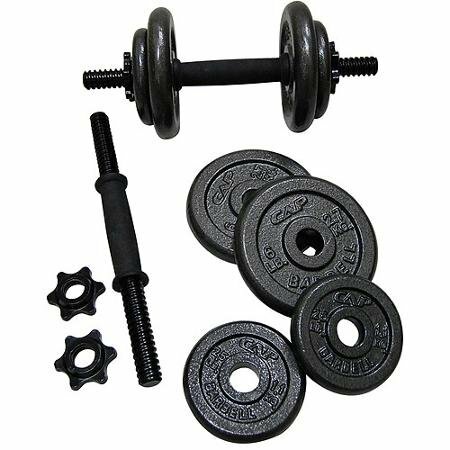 But because there is a wide range of selection on the market, check out the following for guidance on the top products, along with the benefits of getting adjustable dumbbells for your home or gym. One of the most obvious reasons for choosing adjustable dumbbells over regular ones is that the former takes lesser space than the latter. So if you have a limited training space in the garage, basement or attic, you can never go wrong with these adjustable dumbbells. You can perform different exercises without changing machines by just changing your body position using adjustable dumbbells. So without buying two or three machines to get a full body workout, all you need is a pair of adjustable dumbbell set. 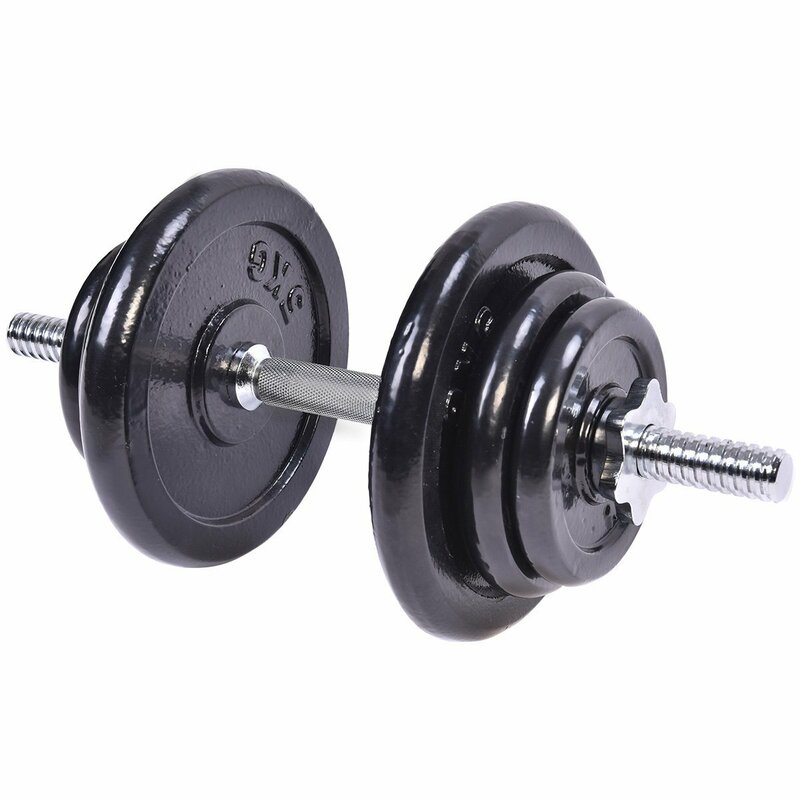 This feature is perhaps the main difference of adjustable from traditional and fixed weight dumbbells. With adjustable dumbbells, all you need is to change weight plates without changing dumbbells. Spending on a home gym could be costly, not mentioning several machines or barbells and other equipment but not if you would consider investing on adjustable dumbbell sets that let you do a wide range of workouts without breaking your bank. 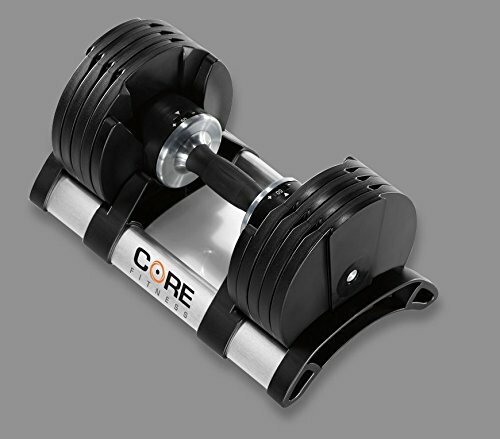 Accommodating between 5 and 50 pounds of weight on each dumbbell, this Core Fitness set of two dumbbells is your affordable and safe pair of dumbbells that is designed and created with the TwistLock technology for secured and safe lifts. All you need to do is to set the dumbbell, twist its handle and change weight quickly. 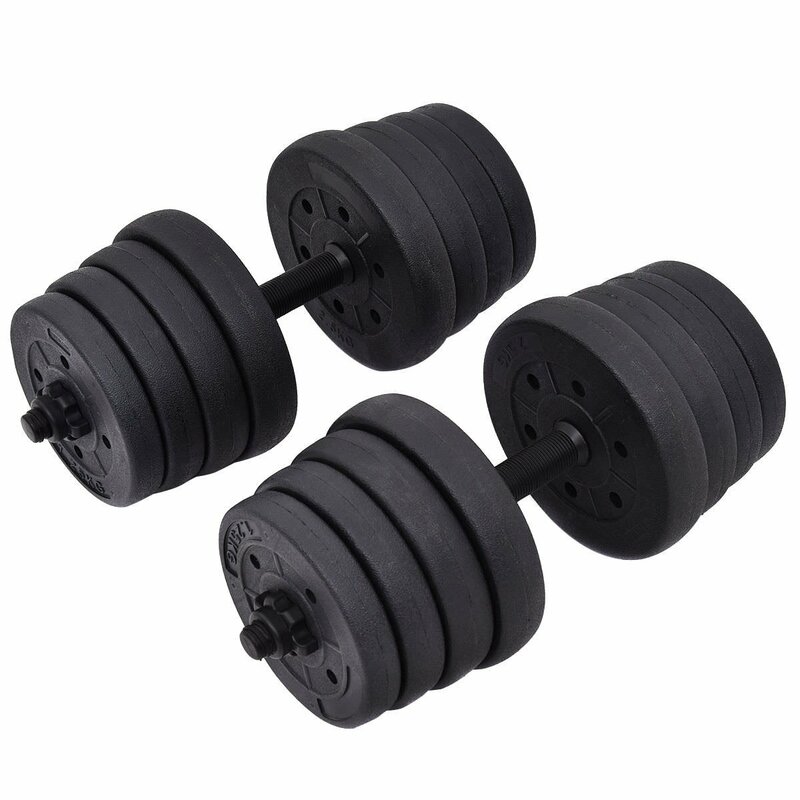 This pair of high quality adjustable dumbbells can be a great addition to your home or gym. It is easy to transport and store with its detachable handle bar. It is constructed with PT plastic (collars and handle) and concrete and HDPE (weight material). It is suitable for cardio and weightlifting exercises. Each package includes 4 x 2.2 lbs, 4 x 3.3 lbs, 4 x 4.4 lbs and 4 x 5.5 lbs, and its handle size is 18.9 x 1.1 inches (L x D) and weighs 4.4 lbs (collars and handles). PT Plastic on collars and handle could be flimsy. It is a complete set with weight plates: 2 x 1.5 kg, 2 x 2.5 kg and 2 x 5 kg, two buckles and one tubular rod. Its plate is made with cast iron and its rod with steel, making this Giantex durable and ideal for heavy use. Its bar size is 18 x 1 inches (LD). The set can accommodate up to 220 lbs. Steel rod might rust over time. The set might not be for advanced lifters requiring heavier weight load. The set includes 4 x 2.5 lb plates, 4 x 6 lb plates, collars and two dumbbell handles. It lets you perform a wide range of workouts from home with comfort and safety for its ergonomic grips, rubber trim collars and comfort handles. It is easy to use and store and is designed for home or gym use. While weights can be added as you progress in your workouts, using other brand/type of plates might not be compatible with its handle. 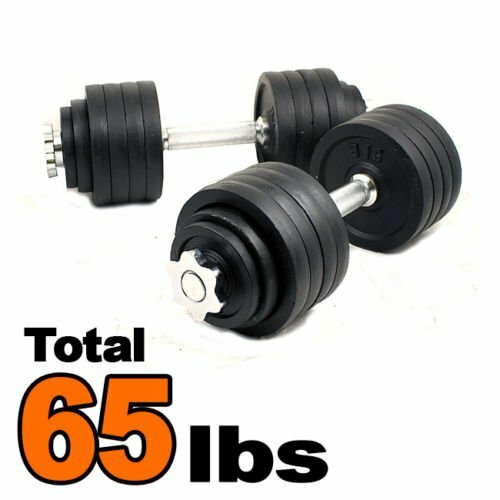 It is a pair of 65 pounds of adjustable dumbbells that are made of high quality cast iron. Its overall dimensions are 13.5 x 4 x 7 inches (LWH). It can also handle varying weights that fit your workouts and fitness level. It includes 2 x 32.5 lbs of weight plates. It might not be for beginners requiring a lower weight load.